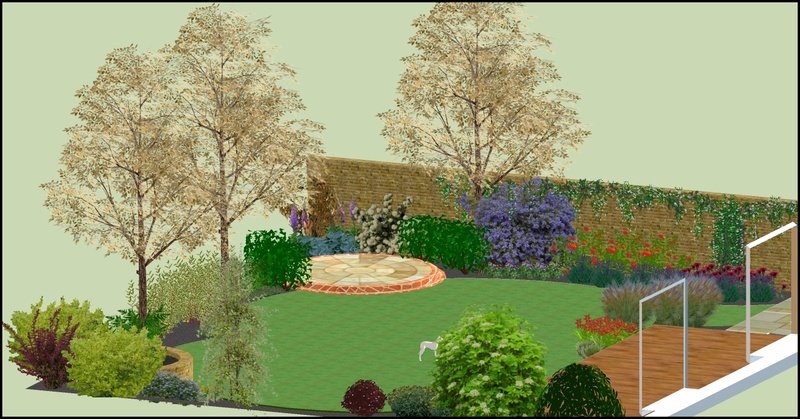 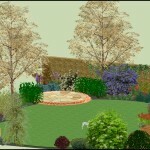 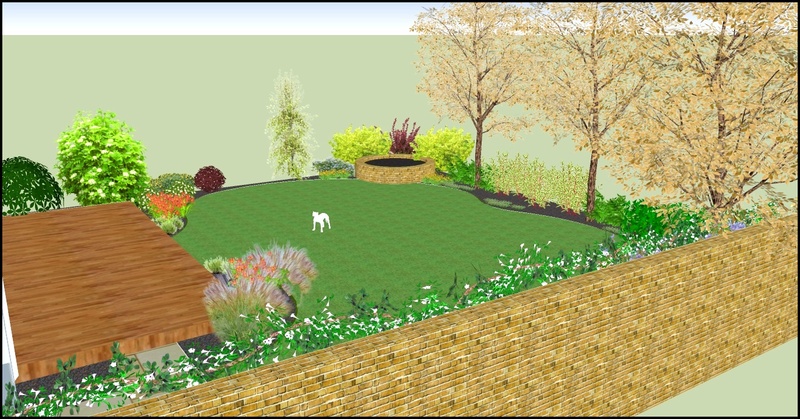 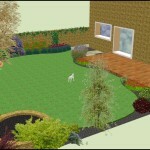 I have slowly been making the change over to using 3D software to create my gardens designs. 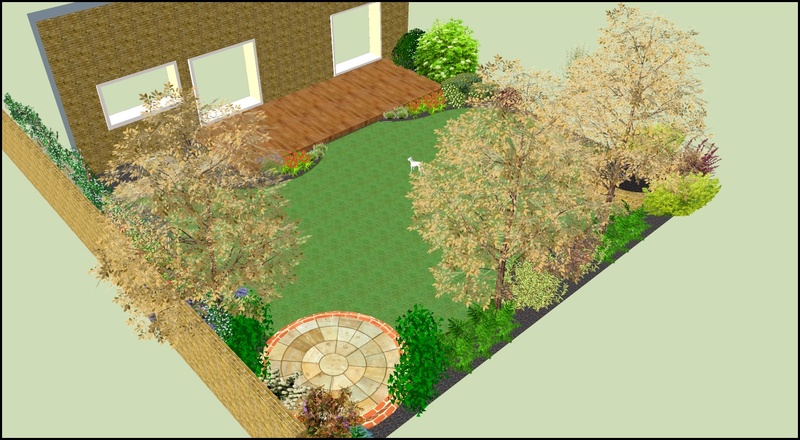 I must admit it’s quite a steep learning curve but it really does solve the problem of customers who are unable to visualise a garden from 2 D plans. 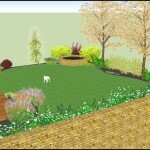 Though time consuming to produce I really do think this is the way forward, with better software and much more powerful computers this will soon be the industry standard. 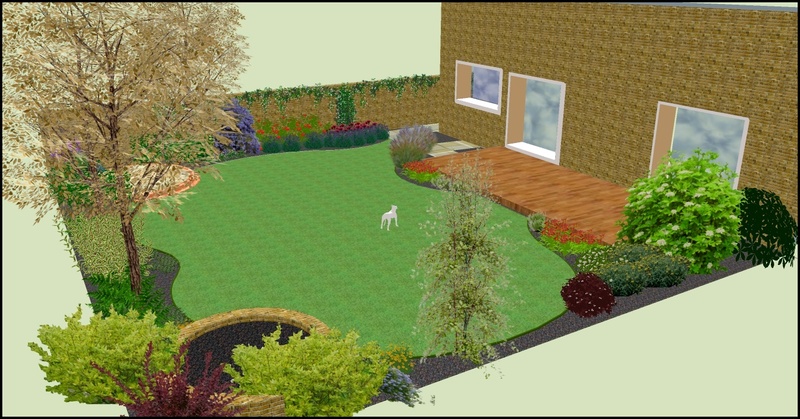 Though it is possible to create virtually realistic photo quality images, it is not yet practical to do so due to the time involved. 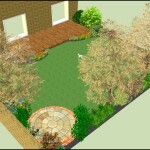 However the results can still be quite impressive and they certainly make the design clear and easy to understand and the the possibility of viewing the proposed new garden from any angle the client can be confident that their new garden is going to be what they want before committing to any landscaping work.